Increase your social popularity and your facebook fanpage activities with quality social signals (likes/ shares) for your facebook post. Facebook posts including images, videos, links, and any kinds of posts that you may post or share with your facebook account or in your fan page. 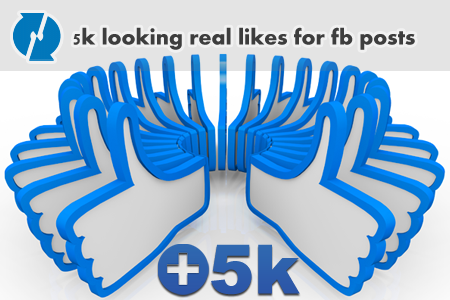 This is awesome way to make your page more active not just have a huge number of fans. this will also give a very high effect in SEO for the links or youtube videos that you may post and order this kind of social signals for it. All likes are 100% permanent.